Dr. Elizabeth Shurell is a general surgeon in Los Angeles, California. She got her diploma from David Geffen School of Medicine at UCLA and did her residency in General Surgery at UCLA Medical Center. 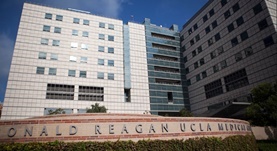 The doctor has an experience of more than 10 years and is currently practicing at Ronald Regan UCLA Medical Center.